Kate continued her loyalty to designers with UK connections, selecting separates by New Zealand-born Rebecca Taylor for today’s reception honoring the Scott-Amundsen Centenary Race to the South Pole. 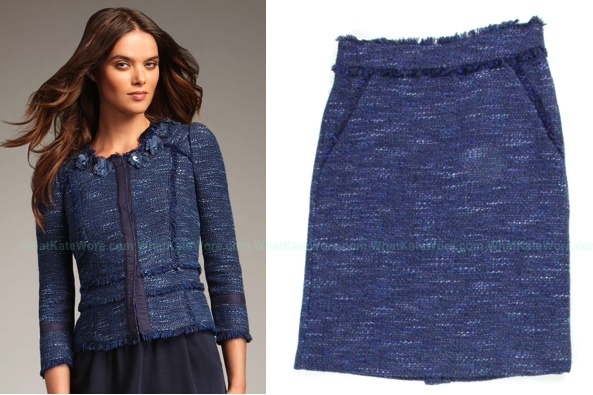 Kate chose separates from Ms. Taylor’s Sparkle Tweed collection, the Navy Jacket and Navy Skirt. Both pieces are from the pre-fall 2012/2013 collection, crafted in heavily textured melange weft. The jacket originally sold at $450, it features frayed trim at the multiple seams, three quarter sleeves, chiffon and sequin floral embellishment at the neck, and a grosgrain covered placket. A more detailed view of the decor at the neck. The rich shade of navy blue on this Rebecca Taylor jacket is just what your look needs to perfect it for the season. Wear this timeless but versatile topper with pencil skirts and skinny jeans alike. Here we see how the jacket looks open, and have a better look at the detailing on the back. The jacket was featured in Rebecca Taylor marketing materials. The textile blend for both pieces is cotton/acrylic/polyester/polyamide, the skirt originally retailed at $425. In addition to honoring the trip to the Pole, today’s event was also a fundraiser for the British Legion, the group provides “welfare, comradeship, representation and Remembrance for the Armed Forces community.” Kate could be seen sporting a jeweled poppy brooch on her jacket. The British Royal Legion provides “practical care, advice and support to serving members of the Armed Forces, “veterans of all ages and their families,” you can learn more about the group’s work by clicking here. 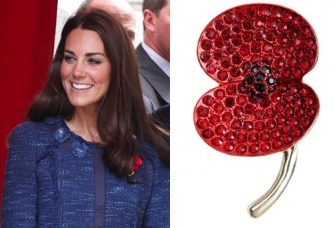 The Legion’s Poppy Shop carries all manner of nifty merchandise, including Kate’s brooch, available here. The suit that sold out minutes after it was worn by the Duchess of Cambridge in London last Thursday, has been re-released by New York-based designer Rebecca Taylor. The tweed jacket and skirt from the resort 2011/12 collection had been on sale at Neiman Marcus and Bergdorf Goodman, but promptly sold out in just half an hour. But this morning, the garments were available to buy again on the Rebecca Taylor website – albeit at the original full price. You can also learn more about Rebecca Taylor on her website. Rebecca Taylor’s flirty, modern designs have inspired legions of loyal customers and celebrity clients to indulge their feminine wiles. The designer has been in business more than fifteen years. Her collections are shown at New York Fashion Week, and the company is also headquartered in the city. Ms. Taylor sold her firm to retailing conglomerate Kellwood last year, they own other upscale lines like XOXO, Vince, and David Meister. CORRECTED TO SHOW PROPER JEWELRY COMPANY. 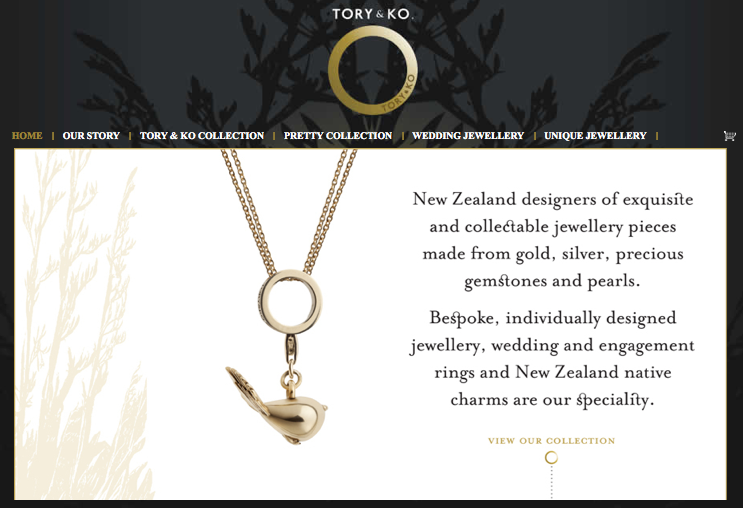 The fine eye for design is clearly a family gift, Victoria Taylor’s firm, Tory and Ko., offers lovely pieces. Ms. Taylor and her business partner, Kirstin O’Brien, showcase New Zealand flora and fauna, including a splendid collection of charms. 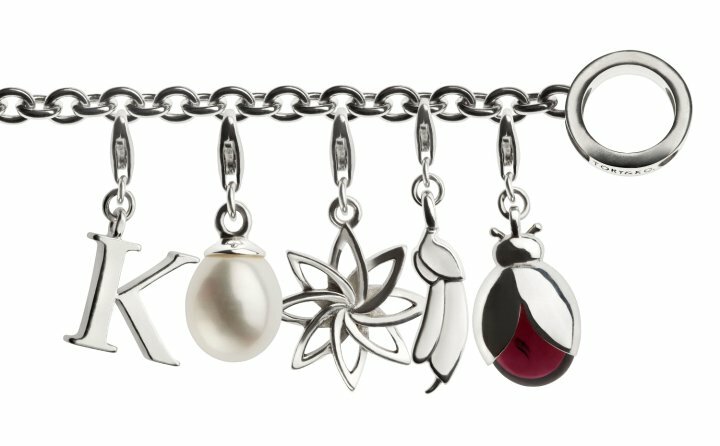 There are other collections in addition to the charms. Now back to Rebecca Taylor, here are pieces from this spring’s collection. Ms. Taylor’s line includes ready to wear, shoes and other accessories, including handbags, these are from the spring 2012 collection. The designer is carried in the US by most upscale retailers (Bergdorf, Saks, Neimans, Nordstrom, etc. ), at Holt Renfrew and Lane Crawford in Canada, Selfridge’s, Harvey Nichols, in the UK and at many other locations. 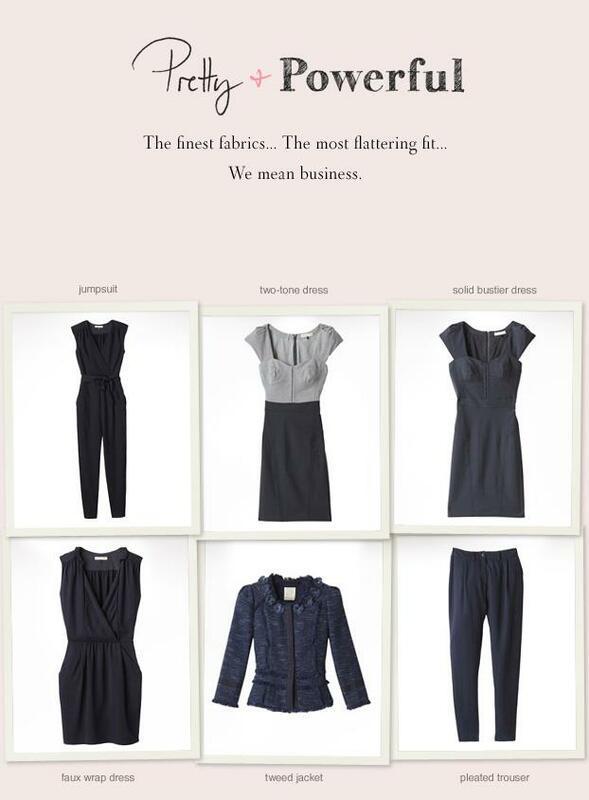 There are also free-standing Rebecca Taylor stores in the United States. What celebrity would you love to dress that you haven’t yet? Catherine Middleton. I just think she’s beautiful; I think she’s doing a great job, and I love William. Today Ms. Taylor learned Kate was wearing her creations, British Vogue has the designer’s reaction. Taylor’s team were contacted by St James’ Palace in February and expressed that the Duchess was a fan of the brand and requested to see a selection of clothes – paid for by the Palace. The designer was later sent a letter of thanks, which she plans on having framed along with the relating cheque. Back to Rebecca Taylor’s thoughts on dressing Kate. “She always dresses so appropriately, she’s very polished and chic. I really loved her in that lilac McQueen gown she wore when she was in LA with William – she looked gorgeous. I’d like to see her in more flowing outfits and actually Rebecca Taylor does lots of those!” laughed Taylor. Read the entire British Vogue story here. Kate accessorized with earrings we’ve not previously noticed, pearl drops. We have seen the other items, her blue Prada pumps and Anya Hindmarch’s Marano clutch. The clutch is out of stock, but you can put your name on a waiting list. The couple also made a previously unannounced stop today, following the British Legion fundraiser, they paid a visit to Britain’s renowned MI6 Secret Intelligence Agency. The BBC’s Peter Hunt put it very well on Twitter. Others thought the jacket didn’t fit properly, that the waist hit too high on Kate, or that the ensemble was too ‘matchy matchy’. I liked the look, the texture of the fabric was very attractive, and this particular shade of blue is very flattering for Kate. EDITOR’S NOTE: I mistakenly showed the incorrect jewelry brand in the post, I want to thank Victoria Taylor for being so very gracious about my error, and apologize for the mistake. So much is made of the way the Duchess dresses. Why?. She needs to be more sophisticated and more daring with her dressing. Please someone tell me what’s so wonderful about it? I’ve been dressing as she does for years – before I even knew she owned these clothes and accessories. I love this “flare/frayed” look on Kate – the whole style/cut makes her look so youthful, feminine & care free. This shade of blue looks amazing on her so I can perfectly understand her wanting to buy this as well as the Missoni dress-coat (I would!!). I think the jacket & skirt would work better on Kate as separates, teamed up with other (lovely) pieces that she has, rather than as a whole suit – perhaps this is what she had in mind when she bought it…. esp. to casually wear the jacket opened with dresses or jeans. On the whole, she pulled it off and looked great!! i love this suit – i just don’t love it on kate. i agree with all the above posters who noted the jacket def looks too short on her and bells oddly, and the waist is too high. i also think the skirt should have been longer, esp when worn with the boxy jacket. it looks like it was cut short, and has thrown the proportions of the skirt off. but i really do like the suit – lovely color, pretty rosettes and trim, very nice cut (on someone shorter). It’s worth pointing out that the Duchess is very long-waisted, which is probably the explanation for where the jacket hits. She has a lot of her clothes specially tailored to deal with this, but it would have been difficult to make any adjustments to that jacket. I LOVE this one, hated yesterday’s! I do not like this outfit on her at all but I do like her makeup. her eyes are not filled with liner as usual and the minimal look makes her look younger and even more beautiful. Really don’t like this. Of course, she looks beautiful (always does). But this is too dated. The top is definitely to short for her frame, the skirt actually looks tight, and the threads in the seams make it look like it’s going to unravel. Yesterday and today seem to me to be safe, dull, and unstylish. I think that those who want to see Kate in something over the top will be disappointed. I suspect she will always dress very conservatively and not try to take the attention away from other members of the royal family or from the organization/event she is promoting. She will likely always dress lady like for the official appearances and save the fun stuff for casual or private occasions. I agree this is too much like the Missoni outfit she wore in March. She’s really playing it safe lately. Am missing the wider variety of colors and styles she wore last year in Canada. Hopefully she will step it up this summer during the Jubilee/Olympic events. I don’t understand this look at all. Totally old-lady looking. I can picture Barbara Bush in this. And I hope she starts experimenting with her hair a bit… its getting really boring for me personally. She looks nice, don’t get me wrong, its just not very exciting for the rest of us lol. Totally agree, you know you’re too predictable when people are literally saying “wasn’t that the same outfit?” but it wasn’t… she could have saved a lot of money and just reworn the Missoni… I sincerely hope she starts experimenting with her hair a bit… its getting really boring for me personally. She looks nice, don’t get me wrong, its just not very exciting for the rest of us lol. I love this! Matchy matchy suits is definitely princess style! I loved this outfit, really neat and sweet, and love the use of the frayed seaming. Definitely agree something seems to have gone a bit astray in the fit of the jacket. Kate seems to have a slightly raised waist on a lot of things, I suppose it keeps emphasis away from her vanishing hips, but in some cases she loks a bit like a kid who keeps growing out of her clothes! I did wonder if some of the odd look came from angle of photography — looks like there wans’t alot of room for manouvre in there. “like a kid who keeps growing out of her clothes” – hee, very apt! I must have opposite taste from most people. I loved yesterday’s look – the gray/lavender color looked good on Kate, and I thought the beading detail made it interesting, it would have been boring to me otherwise if it was just a plain gray dress like some others seem to prefer. This outfit, though, is not my favorite at all. The sleeves are a weird length on her, not 3/4 length and not long enough, and I’m just not a fan of tweed. To me, it’s an old-lady fabric. I will say the color is nice though. And I’m jealous of her beautiful, thick hair. I don’t know at first glance I thought this outfit was the same that she wore with her engagement with the queen and camilla…god she does play it safe and though that does work for her…would be nice to see her in something else other than those classic silhouettes…glossy tights (speaking of which, they appear a bit whiter than usual! )…and would love to see her wear her hair up more! 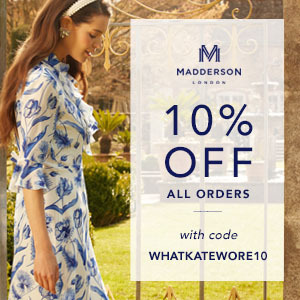 I was not that fond of the Matthew Williamson dress. The Rebecca Taylor’s ensemble is really nice. She likes the blue colour definitely. Couldn’t that be a dress instead of a skirt ? Last point, I am not sure that the shoes are from Prada. They look as the one Kate wore for the Canadian Tour. Once again, great job done for the articles, thank you. But the dress you posted doesn’t have a zipper like that. Moreover, I can’t be sure, but I think the seams are placed differently. I also think that the top of the dress would be a bit much — a bit bulky — under a jacket with the same rosette trim. I really think it’s a skirt but am prepared to be proved wrong. I suppose you are right Lili about the dress and the “bulky” thing. On the “matchy matchy” comment: I agree, it was a bit too “perfect” for someone so young, but I love Kate, she always manages to pull it off. The ensemble is a bit boring though on the whole, so not my fav of hers but it’s ok. I’m just not a massive fan, she had better fashion days. The best was the length of the skirt: just right, not too long or too short. Nice and youthful while at the same time formal. I liked this look a LOT more than I liked yesterday’s drab-looking outfit. I think she can rock just about every color, but I think this shade of blue is especially great for her. I like the look — a very nice little suit. Chanel-style tweed jackets are often cut short in the waist (and with shorter, “bracelet-length” sleeves), as my own blue frayed-tweed jacket is. Yes, this suit instantly called to mind the frayed-tweed Missoni coat, but let’s face it: this woman has a lot of clothes to buy, for a lot of events. It stands to reason that some of the items she picks are going to look similar. It’s inevitable. The reason I like frayed-tweed is that it can make an otherwise conservative design look a little edgy. It also looks great paired with more casual items, like trousers and jeans. In addition to my jacket, I’ve got a frayed-tweed coat that looks great with jeans. Love this look–she looks so great in blue. To all of those speculating on pregnancy—William has been home from the Falklands less than a month–if she IS pregnant, even she doesn’t know! I just received my Aquatalia “Royal” booties, which I ordered from Nordstrom’s—super comfortable and so chic. I may order some other styles from this brand! Unless, she got pregnant before he left, she would probably start showing slightly soon! I admit all the peplums lately do seem a little suspicious… lol… 😉 but I think she looked fabulous in this color! Very good look for this type of occassion 🙂 Wonder what they were doing at MI6? Yeah, but Kate was drinking sherry (or some other alcoholic drink) on St.Patty’s day, so I hope she wasn’t pregnant before Will left. If she got pregnant before Will left, she may not have known yet that she was pregnant at St. Patrick’s Day. Or maybe she knew and took just a teeny sip. Or maybe her handlers told someone pouring the drinks just to give her something nonalcoholic. She also recently went on a ski trip. I doubt she would go sking if she knew she was pregnant. I am pregnant now and my doctor advised me to stay away from any sport where there is a chance of injury or falling. Congrats. I used to think the same until I read the news article about a women who ran a marathon while she was in labor and gave birth shortly after worth. I couldn’t believe it. I agree about the jacket waist hitting too high, especially since the jacket flares a bit under the waist and bells out over where Kate’s hips are (or should be if she had any! )–it gives the whole look (and Kate) an odd proportion. Pity, because otherwise this would have been quite nice on her. She really seems to be favouring classic styles which are “moderned up” either with raw edges, exposed zippers etc. ps. If anyone has a clos up of the new earrings could you please post?? Thanks! the earrings look like Diana’s. See dianasjewels.net. Go to pearls. I love that Ms. Taylor refers to herself as a Catherine Middleton freak – just like the rest of us! I agree with Anna and waywe were…she looks wonderful in everything…she is JUST like her late mother-in-law…black lace or potato sack…she looks terrific! I love this look! So polished and sophisticated.